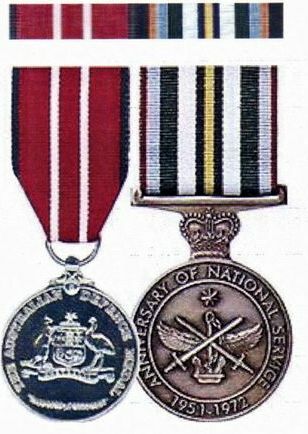 20 NSTB. 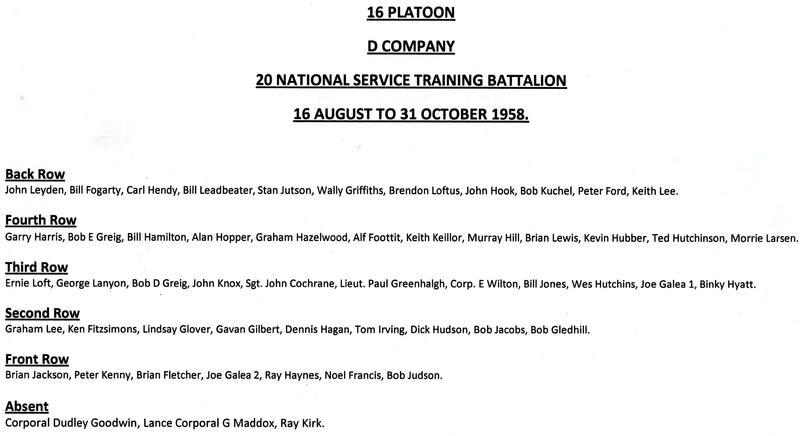 D Coy.22 Platoon. 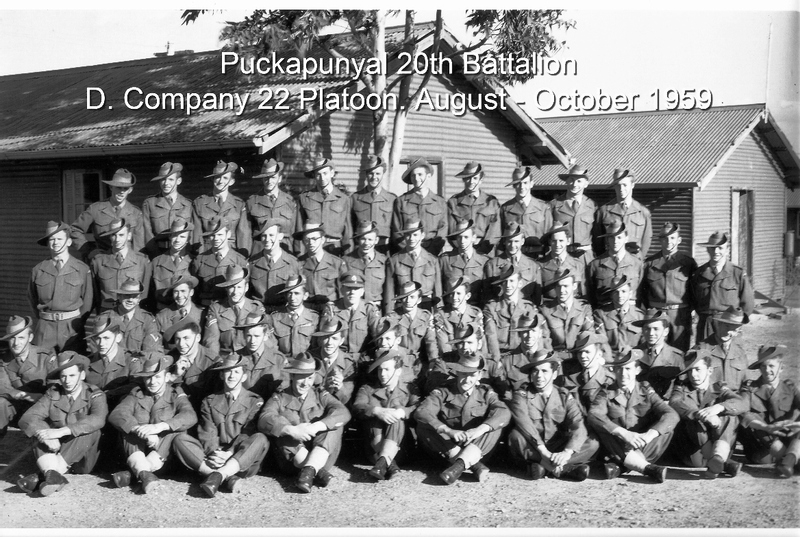 (Aug-Oct) Pucka. 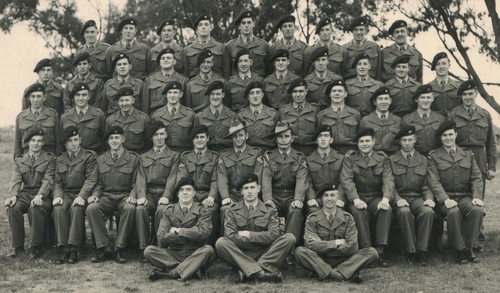 1959. M Vassallo.D Spry.L/Cpl Deninson.R McGown.J Marr.D Flentjar. 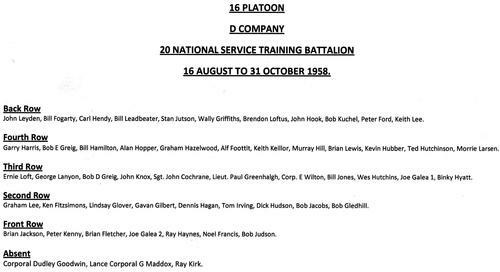 2 RTB 3 RD Intake A Coy 6 July 1970. 2RTB A Coy 3 Platoon 2 Intake 1967 Pucka. 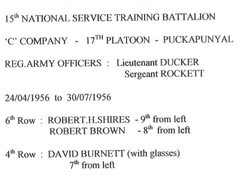 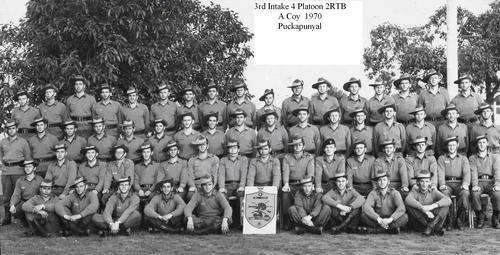 2 RTB A Coy 3 Pl 3 Sec 2 Intake 1967 Pucka. 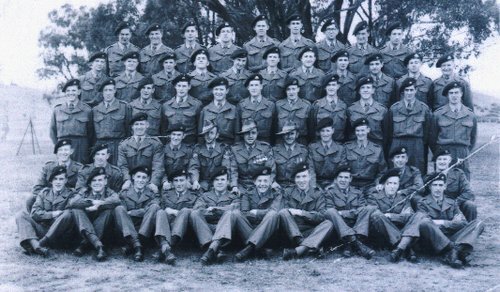 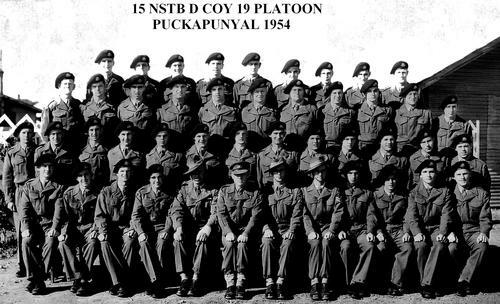 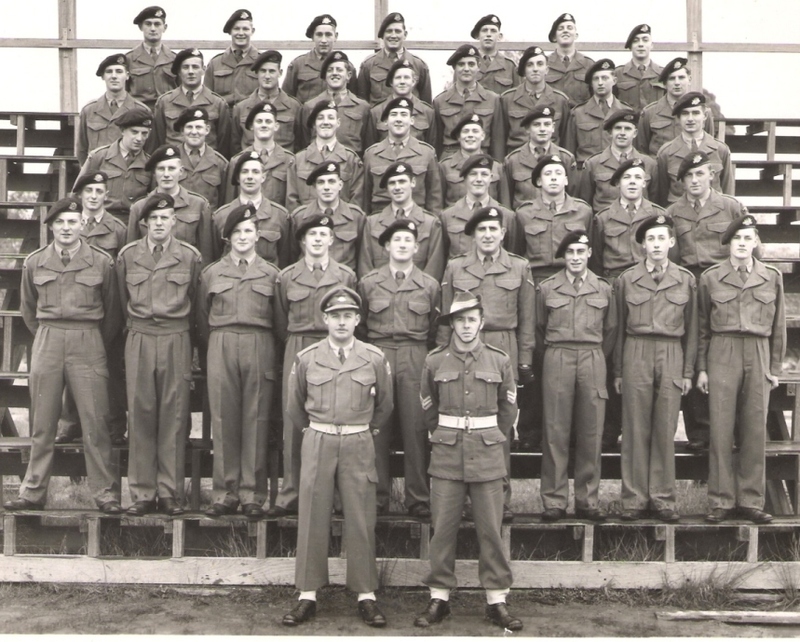 15 NSTB C Coy 17 Platoon 1956 Pucka. 20 NSTB 2nd intake 1959 C Company 13 Platoon. 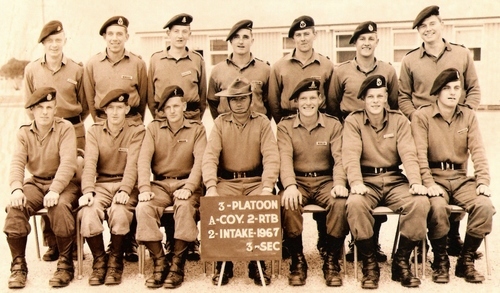 Centre row 3rd right Norm Matheson. 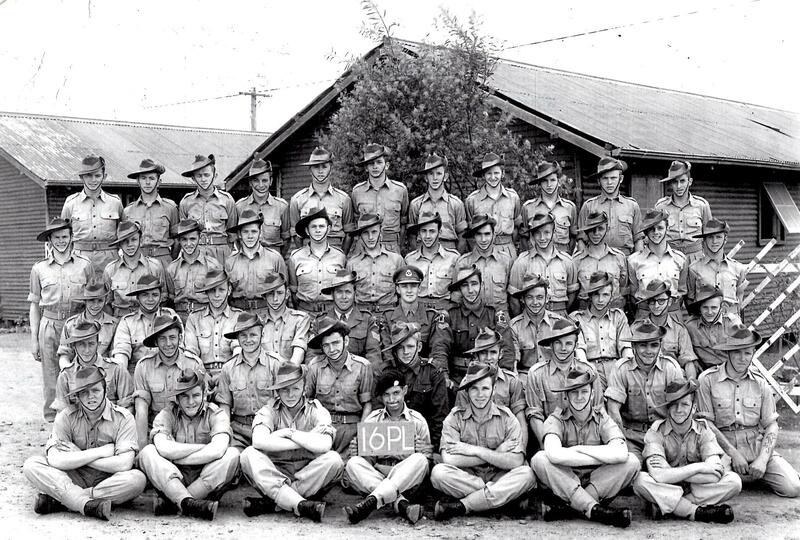 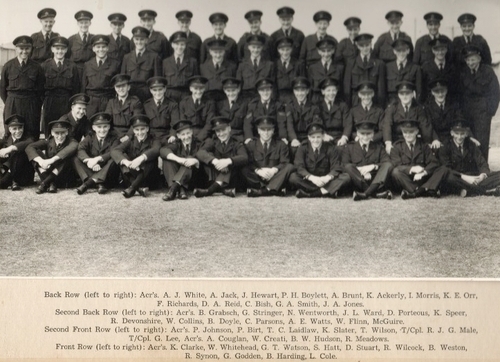 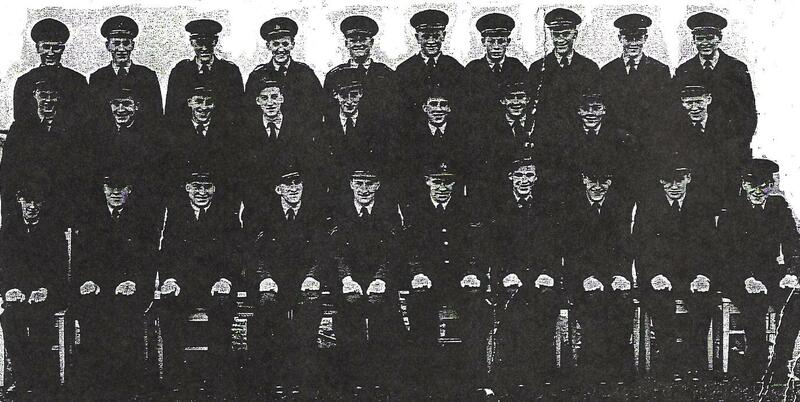 14 NSTB 2 Intake C Coy 25 Platoon Raeme 1952. 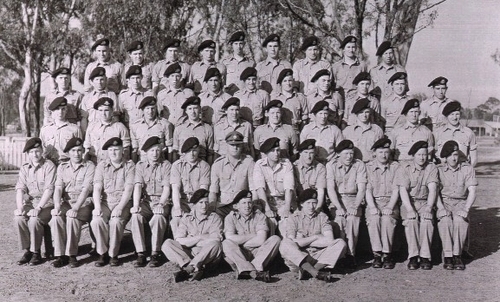 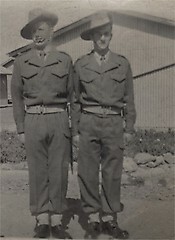 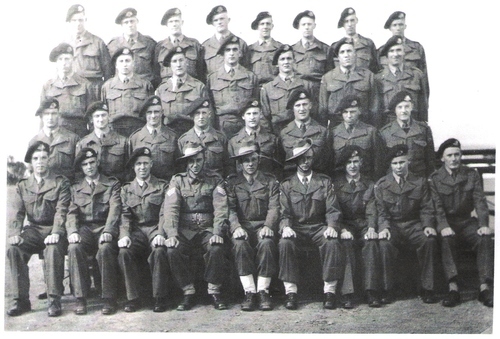 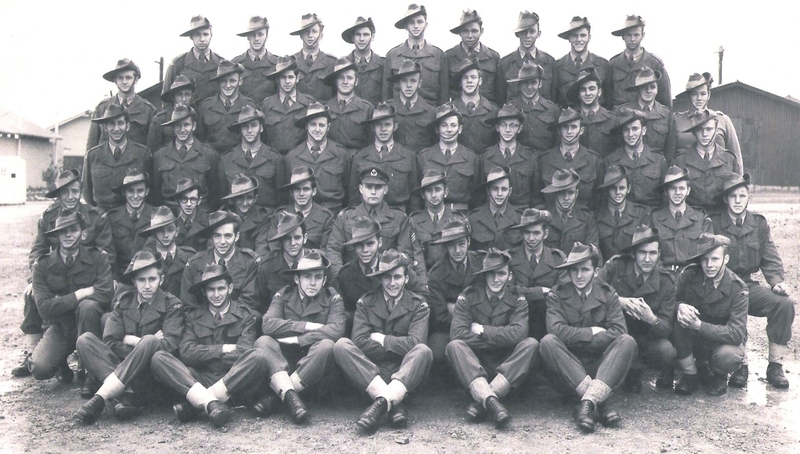 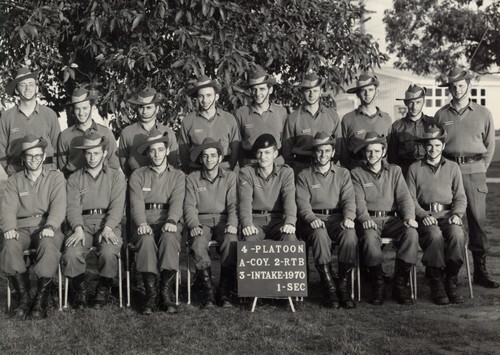 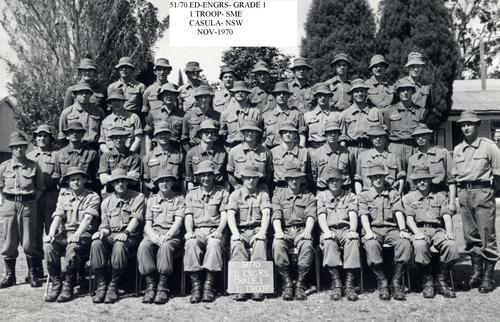 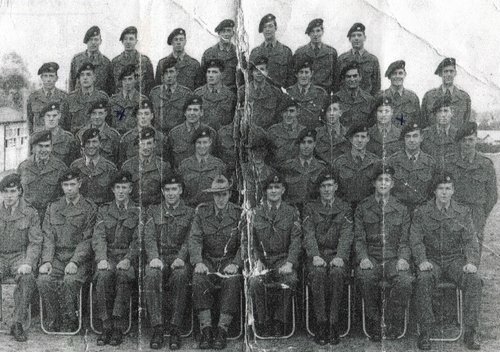 15 NSTB 1 Platoon A Coy 1954. N02 NST WING Rathmines 6 FLT 14 Intake 1955. 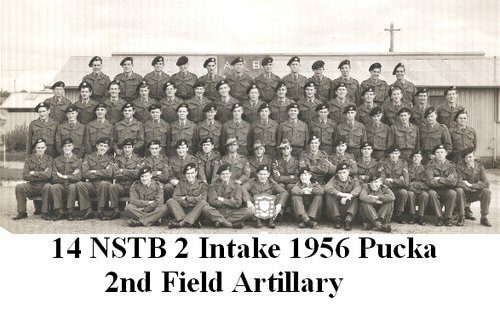 14 NSTB 2 Intake 2nd Feild Artillary Pucka 1956.